Germany stars Manuel Neuer and Thomas Mueller have denied that Mesut Ozil was the victim of racism within the German FA (DFB), but admitted the fiasco has taken a toll on the players. Ozil retired from international football last month amid the furore sparked in May when he and fellow midfielder Ilkay Gundogan met with Turkish President Recep Tayyip Erdogan, which raised questions about the pair's loyalty to Germany. After Ozil and Gundogan, who were born in Germany to Turkish parents, were booed by German fans in pre-World Cup friendlies, the latter said the meeting was not politically motivated. The 29-year-old Ozil refused to comment, only breaking his silence following Germany's shock early exit from the finals in Russia when he quit the national team on July 22 and accused DFB president Reinhard Grindel of racism with his parting shot. However, Neuer, who is captain of both Bayern Munich and Germany, denied any claims of racism within the national team. "We've always tried to integrate all the players and we've also done everything for our teammates to make them feel good going into games," said Neuer at Bayern's pre-season training camp in southern Bavaria. The goalkeeper admitted Ozil's comments have affected those who still play for Germany. "There has been a lot of back and forth with much written and said about it. Of course, it was very stressful for those who read about it," he said. Only a handful of players have spoken about the scandal and head coach Joachim Loew is yet to comment. "In the eyes of Grindel and his supporters, I am German when we win, but I am an immigrant when we lose," wrote Ozil in an explosive three-part statement a fortnight ago, sparking a racism storm in Germany and triggering fierce debate about integration. The Arsenal midfielder was singled out by some corners of the German media as a reason for the World Cup debacle, but Grindel, who has refused calls to resign, later refuted the racism allegations. On Friday, Neuer's Bayern team-mate Mueller also insisted "there is no question of racism within the national team", but accepted the saga was damaging for all protagonists. "The debate was fueled from the outside and the protagonists didn't come out with any credit, neither on the side of the association nor the players themselves," he said. Mueller described the saga as a "hypocritical discussion, which is supported by the media" and finds it alarming "that we spread such a topic... with relish and then we wonder why society is divided". "We should all look at ourselves before we criticise others," he added. 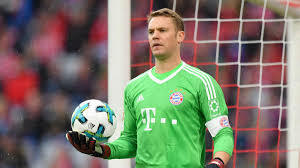 Following the Ozil furore and Germany's woeful World Cup group-stage displays, Neuer has called for a fresh start, especially for their next game against new world champions France in Munich on September 6. "It is the task of those in charge at the DFB to restructure the team and to give it a new face," said Neuer, with Loew already promising an overhaul of the national squad. "We need to have new players, who are really proud to play for the national team and want to give everything to play for their country. "I think that there is a lot going on within the national team and the DFB. We will have to wait and see how things shape up. "The fact is that some things need to be changed. "We also have big goals in the national team and of course we want to show a different face again."